The city of Richmond, Virginia has some of the most concentrated poverty in the country. Richmond has high unemployment and poverty rates of 40 percent or above in its East End neighborhoods, which includes Church Hill North and has a majority African American racial makeup (92 percent). In the East End, life expectancy rates are lower than in the City as a whole, and in fact in some of these neighborhoods, residents can expect to live 10 to 15 years less than people in other areas of Richmond. Additionally, the East End is said to have the largest concentration of public housing between Washington DC and Atlanta, and only a small percent of residents are homeowners. Bon Secours Health System is one of Richmond’s leading anchor institutions. In deciding how it invests institutional resources, Bon Secours focuses on the social determinants of health (SDOH) —including access to safe, affordable, and quality housing. 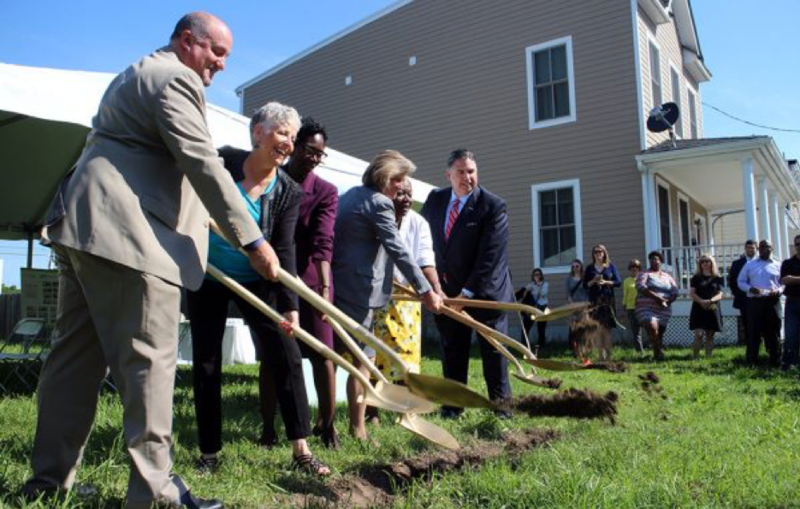 The Democracy Collaborative (TDC)’s recent report, Community Control of Land & Housing, highlights Bon Secours SDOH work, the connection between housing and health, and the pivotal role of anchor institutions in equitable economic development. Starting with an inclusive community planning process in 2010, Bon Secours understood how it could support a community vision for the East End, and adopted a long-term, place-based investment strategy. One way that has evolved is to use its community investment funds to support a community land trust (CLT) and a land bank. The health system has invested $3.4 million per year towards social determinant impact areas including affordable housing strategies to generate affordable home ownership in perpetuity. CLTs separate the cost of land—held in perpetuity by a non-profit trust—from the cost of the housing built on that land. The homes remain permanently affordable because the CLTs cap the resale prices and rents, making it affordable for long-term neighborhood residents to remain in their neighborhoods, even when new development or market dynamics cause prices to rise. Home owners can build some equity but are not allowed to flip the homes for large profits, which ensures that the homes remain affordable for future residents. In addition, CLTs reinvest the home purchase subsidy into the next home owner’s purchase to ensure permanent affordability. Bon Secours understands that to promote holistic health across the City and region it cannot do this work alone—partnerships and advocacy enable the health system to achieve its vision of engagement, inclusion, and investment. For its investment in permanent affordable housing, Bon Secours developed partnerships with the Maggie Walker CLT, Virginia Credit Union, Project HOME, and Housing Opportunities Made Equal to help develop, finance and maintain the CLT homes. Bon Secours also works with other anchor institutions like Virginia Commonwealth University and the City of Richmond to support community and economic development, and the health system also prioritizes public policy advocacy. Its staff is present at policy-making tables across the region, in order to bring wealth-building opportunities to the communities it serves. TDC’s work has detailed many examples of anchor institutions that are investing in improving access to safe and affordable housing and in creating more economically stable neighborhoods. Anchor institutions are key actors in community and economic development, and as Bon Secours has shown, can make a significant difference. The collective spending of hospitals and universities alone is more than $1 trillion, and cities are increasingly turning to them as partners in community revitalization efforts. Many anchor institutions such as Bon Secours are also major landowners in their communities, and many are already engaged in housing programs such as employer-assisted housing. These housing programs help employees to purchase or rent a home in the neighborhoods near work. Anchor institutions can and should employ CLTs to maximize the impact of their long-term investments in housing for their workforce, and to ensure that they help employees who need it the most. An embrace of strategies for permanent affordability can promote inclusive workforce policies that provide durable subsidies for the housing of lower-wage employees—thereby also benefitting the health system’s bottom-line by cutting down on the staff turnover that is prevalent in lower-wage positions. However, these institutions should also look beyond the benefits such models can have for their employees, and utilize and support CLTs to help build more inclusive communities around their institutions more generally. Anchor institutions, partnering with housing, community and faith groups, government leaders, and other cross-sector partners across the country should explore creating and supporting CLTs and other strategies as tools for community control of land and housing. These programs need to be further developed, refined, and scaled to create permanent affordable housing that meets the needs of communities. Crucially, when anchor institutions operate as engines of local economic growth they can, despite the best of intentions, displace and destabilize communities that have borne the brunt of decades of disinvestment and discrimination. Support for strategies of investment like CLTs that center permanent affordability and community control of land and housing can help mitigate these unwanted consequences. Bon Secours’s vision to bring its wealth building to scale through stabilization and revitalization of entire neighborhoods goes a long way to address disparity and achieve equity and dignity for its community. We need more community anchor champions to similarly invest in their communities to strengthen their local economic ecosystem. 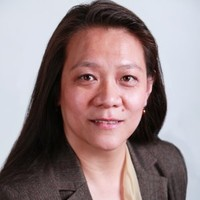 Bich Ha Pham is a policy, advocacy, and communications professional with experience in developing and executing strategic advocacy and communications plans that generated significant press coverage, awareness, and policy change for lower-income individuals and communities. Bich Ha is a Senior Communications Associate with the Democracy Collaborative, where she works on communications and advocacy for various initiatives including the Healthcare Anchor Network. Bich Ha previously worked on a number of exciting projects, including the path-breaking campaign that resulted in New York City support for worker cooperatives, as well as the community wealth building policy work at the NYC Public Advocate’s office as Director of Policy. Bich Ha’s previous roles also included being the Executive Director of the Hunger Action Network of NYS and the Policy Director at FPWA. 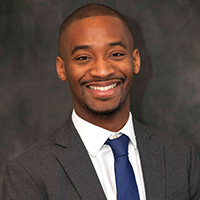 Jarrid Green joined the Democracy Collaborative as Research Associate in March 2016 after three years at the Center for Social Inclusion (CSI), a national public policy strategy organization based in New York that aims to dismantle structural racial inequity. At CSI, Jarrid provided research, policy analysis, advocacy, partnerships and administrative support across CSI’s programs. Jarrid also authored two case studies profiling cooperative ownership in the sustainable energy sector including a profile on the worker-owned solar installation company, Namaste Solar, and a profile on the multi-race, multi-class consumer-owned cooperative, Co-op Power. Prior to his tenure at CSI, Jarrid served as a Researcher for the Smithsonian Institution’s Office of Policy and Analysis where he supported studies of museum visitorship and strategic planning for Smithsonian museum units and external organizations. While at the Smithsonian, Jarrid also served as a Project Coordinator for the Smithsonian Center for Education and Museum Studies where he worked in partnership with MIT’s Education Arcade to coordinate the development of a national education program that sought to increase middle-school-aged students’ interest in science-based careers.